Earnings seasons typically lose their power to influence markets after their third week because by then the tone has already been set. In recent months, the US monthly jobs reports have not been influential, which is unusual. They were drowned out by more pressing stories related to assorted stimulus/deleveraging uncertainties in the US, Japan, and EU. However this month, the monthly US BLS jobs reports could resume their market moving prominence as one of the top market moving events of the month. The above mentioned uncertainties that drowned them out are no longer present. No US Debt Ceiling Uncertainty: Even the opponents of raising the debt ceiling, the Republicans, have agreed to suspend debt ceiling limits until May. The highly anticipated BOJ stimulus plan has been announced. Initial disappointment that the announced measures would be delayed has been broken by assorted official comments assuring markets that stimulus is coming. The Fed is not expected to make any changes to its current QE 3 stimulus at this week’s FOMC meeting (see below). EU anxiety remains minimal despite overall deterioration or stagnation in most of the EU. There is a potentially important IMF report out on Spain due this Friday. However if the past is any indication, given the potential for renewed anxiety about Spain to spark another bout of EU solvency fears, expect officials to downplay the negatives, despite Spain’s unrelenting deterioration and ‘overoptimistic’ accounting methods. This week the IMF will visit Spain and complete its second report on Spain’s banking sector reform; the report should be released this Friday. This report could be significant because it will include some of Spain’s most troubled small domestic banks that are still on ECB-liquidity life support. If these banks are not recovering, then anxiety about Spain’s sovereign debt could re-surface once more. While Spain bond yields have been falling, market sentiment can change quickly. As we’ve noted earlier here, it has no OMT deal set up, such a deal would likely not come quickly given Spain’s resistance to submitting to the politically unpopular conditions that would come with the aid. Thus Spain is vulnerable to a sudden spike in yields given its considerable bond inventory in needs to sell this year. This will be the first meeting of 2013 and thus the first chance to see if the rotation in of new voting members effects Fed policy. We don’t anticipate any major shifts, because the new composition of the FOMC is about as dovish as the old one, and the economic picture hasn’t changed since the last meeting. However any surprises could be market moving, if not for stocks then for the USD and hence currency markets in general. If it has any influence, it’s more likely to be to the downside as the Fed repeats its dissatisfaction with the economy. With markets at decade highs that should make them vulnerable to any kind of negative news, although they’ve been resilient as of late. This week is more rooted in the end of January than the start of February, so while it’s busy, it’s a bit lighter than the usual first week of the month. It’s heavy on US data, with a bit of Asia at the end of the week. It’s light on major European events. Both the IMF report on Spain and Italian bond sale are too important for the EU not to do all it can to ensure these don’t rattle markets, and so they probably won’t. Of course, that means that if these do come out negative, that could really shake markets lower. In addition to those mentioned above, here are the top events to monitor. Although daily or longer time frame charts generally reflect fundamentals, market move based on perceptions rather than reality, and there are times when the technical picture creates perceptions and hence its own reality. This week we may well have that kind of situation. For example the bellwether S&P 500 can remain above the key 1500 level, that alone will tempt markets to test and break above decade highs about 3% higher around 1550. Given the strong entrenched momentum, as discussed last week here, even a 10-15% pullback would not break the current intermediate term uptrend. Given that entrenched uptrend in risk assets, and markets’ continued ignoring of the deteriorating fundamentals in the global economy, the current technical picture supports a bit more upside, at best a break to new highs, and at worst a normal 10-15% correction that is likely to end quickly as markets see dips into the 1250-1350 area as no more than a normal test lower to be used as a buying opportunity. We already discussed most of these in our recent post here. We’d just add a few additional points. Currency Markets Diverging From Stocks: Temporary Aberration Or Sign Of Change? The rising EUR, which is moving higher due to calming about EU solvency risk (see here for reasons). Then the overall trend in currency markets is in favor of the safe haven USD (despite ongoing Fed stimulus) suggests that currency markets are less bullish than their equities counterparts. As a rule currency markets tend lead stocks, so the divergence between more risk averse currency markets as shown by a stronger safe haven USD, and rising stock markets, suggests one of these trends needs to reverse. Given the poor global fundamentals and high stock markets with limited justification for their high prices, we suspect the USD’s near term strength is the more trustworthy trend that suggests some kind of halt to the stock market rally. They probably know more about where markets are going. They certainly know whether their currencies are likely to move up or down. They’re offering some very important advice. The Chinese, and any other export nation with a sovereign wealth fund is heeding that advice. So should you. They rarely state it explicitly, but their actions scream it. So I’ll translate what these mean. For the ‘greater good,’ (boost exports, facilitate reducing their debt levels, etc) they want to cut the value of your local currency and everything denominated in it. The Fed, BOJ, and ECB are all actively pursuing policies that should reduce the value of the USD, JPY, and EUR. The BOE is openly thinking of doing the same. If most of your assets are linked to or denominated in one of these currencies, then you need to cut your exposure to them and increase your holdings of currencies and assets that will better hold their value. 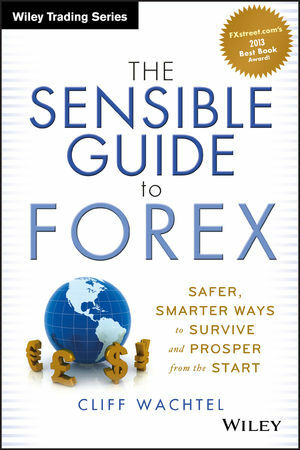 See here for the most up-to-date collection of simpler, safer solutions for hedging that currency risk than generally found in guides to forex or overseas investing.